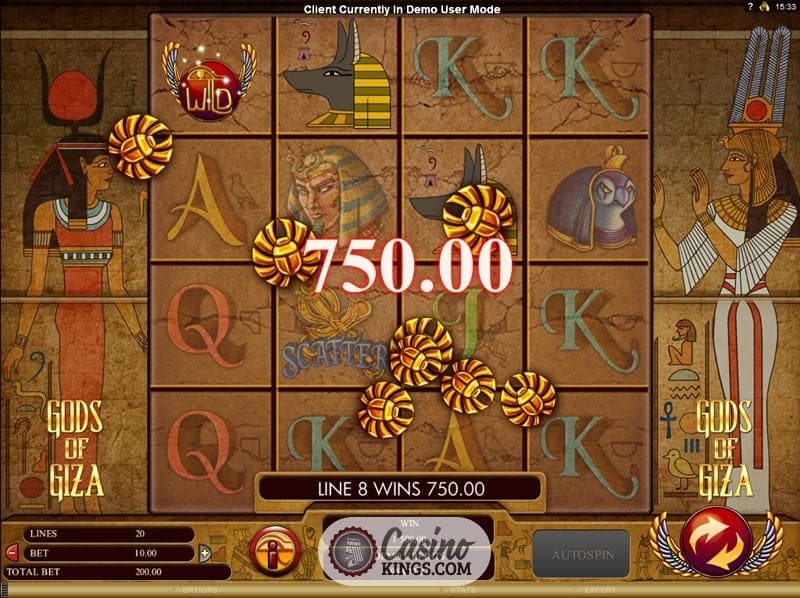 The Gods of Giza Slot may sound like a slang term for self-styled studs strutting the streets of Essex, but Genesis Gaming are far more cultured than that. They refer, of course, to the Great Pyramid of Giza, the largest and oldest of the Seven Wonders of The Ancient World. 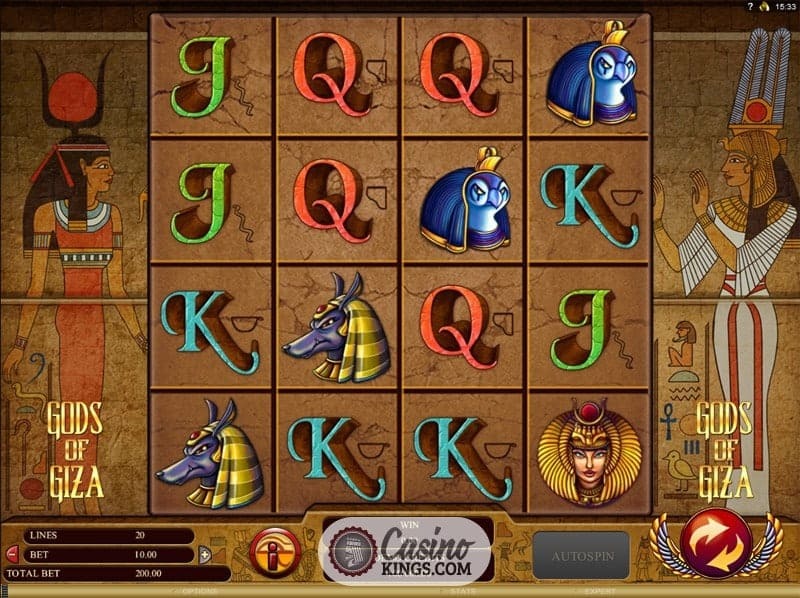 The Egyptians are cited as inventing some of the worlds most revered contrivances, such as bowling, breath mints and toothpaste, and here Genesis have developed a neat invention of its own – a four reel, four row slot with 20 paylines. We may well notice ourselves finding four reels and four rows a little odd, for the appearance of the reel case is distinctly square rather than rectangular. Genesis like to do things differently, and this four-by-four set-up comes into its own during The Gods of Giza‘s bonus feature. But more on that later. For now let’s focus on the gameplay, the style and design of the game and its homage to ancient Egypt. 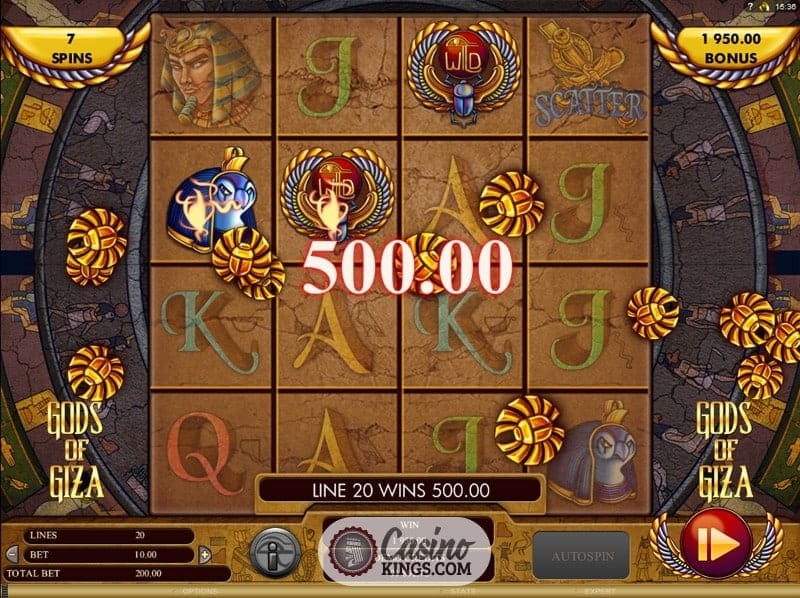 The low-paying Jacks through Aces have a distinctly hieroglyphic feel to them, while the highest-paying symbols – the Pharaoh, his Queen and what must be two Gods of animalistic nature (Gods of Giza, one presumes) – exude mystery and adventure. With a maximum of four-of-a-kind wins we might expect lower payouts, but this isn’t the case. Payouts achieve standard levels with a theoretical RTP of 96.128%. For example, four Pharaoh’s bring in 150x our bet-per-line. The soundtrack accompanies the action well, rolling on nicely in what could be a swords-and-sandals epic battle scene. With a Wild symbol that performs the usual substitution duties, it is up to the Scatters to make the most of this 4×4 reel case. 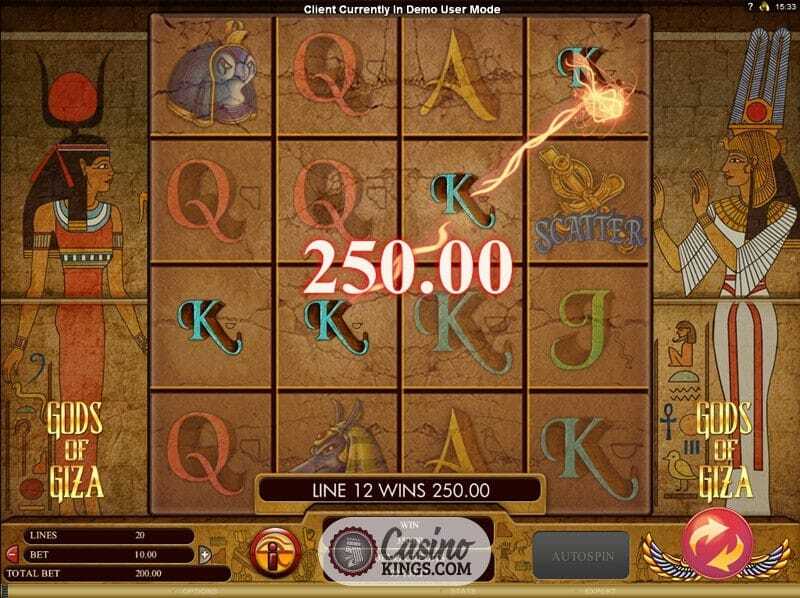 The Ankh Scatters – in ancient Egypt the Ankh was used to symbolise life, by the way – trigger the bonus feature as well as offering their own payouts. If we hit all 16 possible Scatters we are looking at a whopping 14x our total bet. Gulp! 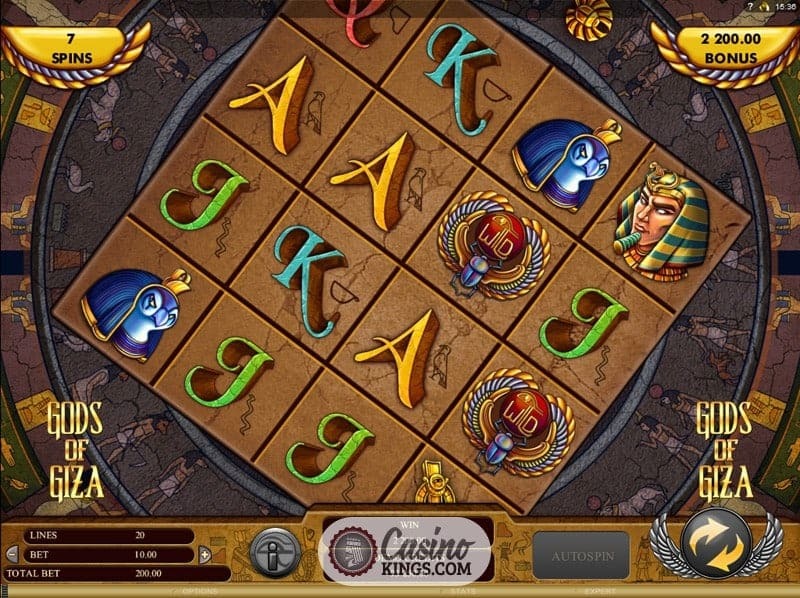 Landing three or more Ankh Scatters triggers the Rotating Free Spins bonus feature, which sees us net 8 Free Spins with the added bonus of the whole board rotating four times to create new lines and new wins. 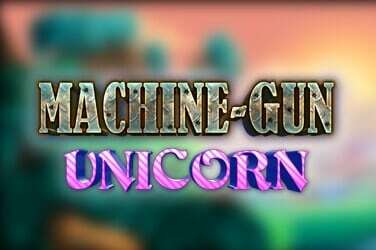 It is an ingenious bonus device that fits in perfectly with the theme, with myths abounding of great motorized traps and labyrinths lying deep in the depths of the pyramids in case adventurers sought to plunder the Pharaoh’s wealth. While it takes our eyes to adjust when we first fire up this Genesis Gaming title, landing three or more Scatters soon offers up plenty of reasoning for this innovative reel structure. As intrepid adventurers beneath the pyramids, it is up to us to escape with winnings about which legends can be written.